NXT Generation Permanent Hair Colour has been developed to offer outstanding quality at an affordable price. There are 74 beautiful hair colours covering all aspects of the colour palette and these are complimented by five colour intensifiers. All hair colours are in 100ml tubes and are mixed in a 1+1 ratio (with the exception of the Super Lighteners which are mixed in a 2+1 ratio.) 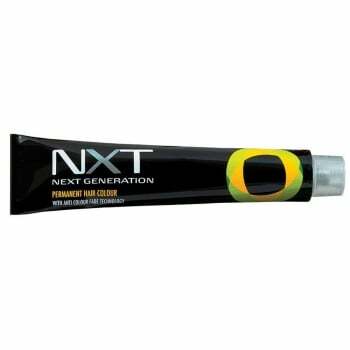 Therefore, from one tube of NXT Generation colour you have 200ml of working product, which is sufficient for at least two full heads.